SEOUL, Feb. 26 (Aju News) -- Ivanka Trump has had no interaction with North Korean officials during her visit to South Korea, a White House official said amid keen interest in whether the two sides will resume dialogue. Ivanka, daughter and adviser to U.S. President Donald Trump, led the U.S. delegation to the closing ceremony of the Pyeongchang Winter Olympics the same day. 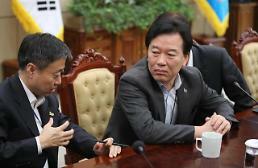 She was seated close to the North Korean delegation, led by senior ruling party official Kim Yong-chol. 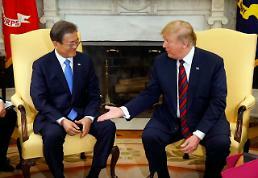 Shortly before the ceremony, Kim told South Korean President Moon Jae-in that Pyongyang is open to talks with Washington, according to Seoul's presidential office, Cheong Wa Dae. "There was no interaction with the North Korean delegation," the senior White House official said in a statement, speaking on condition of anonymity. "The U.S. Presidential delegation's attendance at the closing ceremonies was the culmination of a successful trip where we celebrated the Olympic Games, U.S. athletes and our strong alliance with South Korea." White House press secretary Sarah Sanders said in a statement the U.S. "will see if Pyongyang's message today, that it is willing to hold talks, represents the first steps along the path to denuclearization." She added, "In the meantime, the United States and the world must continue to make clear that North Korea's nuclear and missile programs are a dead end."